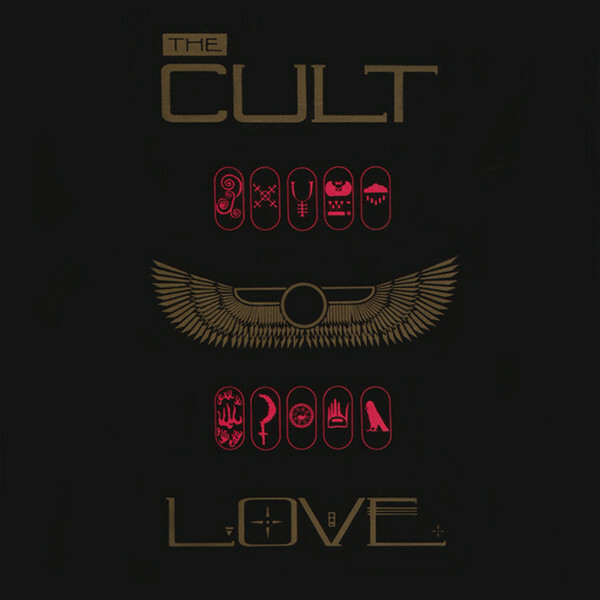 The Cult are one of those bands that could be like marmalade, you either love them or you don't! I am not sure why they are not loved more by the Rock brigade as their albums are guaranteed a mighty whack of guitar based excellence. I bought this album on the back of the hit single, "She Sells Sanctuary", having not yet found The Mission (that was to come later) this was my first hint of Gothic Rock. 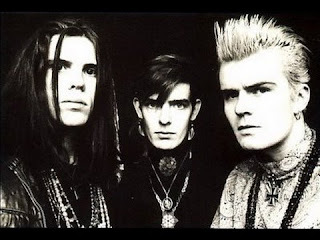 The Cult's sound was like nothing I had heard before, atmospheric, almost mystical with pounding drums and guitar riffs apelenty. Ian Astbury, looking like a Cherokee Indian brave singing in an unusual Rock style that is unique got me hooked and I had to buy the debut album, "Dreamtime" and all following albums too! There is always something new to hear in the tracks on each listen. Now to this album, released in 1985 it peaked at Number 4 in the UK and two of its three singles also reached Top 20. 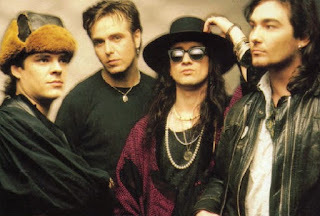 The aforementioned first release, "She Sells Sanctuary", a superb Rock song with its repetitive train-like backing guitar an drums amidst Ian's powerful vocals and a fabulous catchy chorus made it the band's first big hit reaching number 15. The atmospheric echoes make it even more powerful. The second single "Rain", a fans' live favourite reached number 17 in the UK and is one of my favourites from the band. A more anthemic song than the previous single, the chorus is just great, there are elements of Classic Rock of the 60s and 70s and hitns of Gothic Rock, the repeated almost chant-like chorus is absolutely awesome. 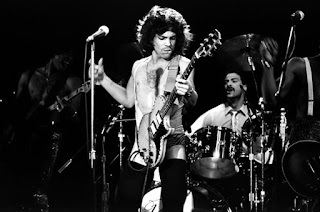 The third single, "Revolution" only reached number 30. A slower song but still having a similar sound to the two singles prior. Pretty repetitive and clocking in at 5 and a half minutes, it was maybe too much for the radio listening public. I personally love it, its a great Rock ballad, with Psychedelic undertones. "Nirvana" the opening track, has all the Classic Rock elements and could have easily fitted in the "Hair Metal" of the 80s. "Big Neon Glitter" is a brilliant mash up of off tune vocals but with with a kind of Rolling Stones chorus and screeching guitars that reminded me a little of Big Country amidst some tiny specks of Progressive Rock. Class song! 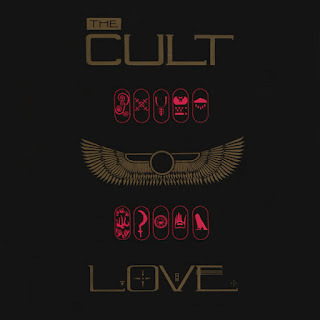 "Love" the title track is a superb track, its kind of a Classic Rock/Punk hybrid with sounds like Adam And The Ants' "Kings Of The Wild Frontier" album, searing guitars and thumping drums. Well I love it. The epic "Brother Wolf, Sister Moon" is a ballad that stretches to 6 and a half minutes. I remember hearing this in headphones and the sounds are incredible, more instrumental than the previous tracks and proved the band could experiement with different sounds. "Phoenix" is a dark, mass of noisy screeching guitars and drums with random solos thrown in for good measure. Not one of my favourites but then this album has high standards to keep. "Hollow Man" reminds me a little of Tom Petty, its an uptempo track with a backdrop of Blues and Punk Rock. It speeds along nicely and keeps your foot tapping! The final track is "Black Angel" is another slow ballad, prety much in the vein of early Europe especially with Ian's vocals reminding me of Joey Tempest. This album's experiements paved the way for all kinds of genres to be tried and tested by the band in the future.